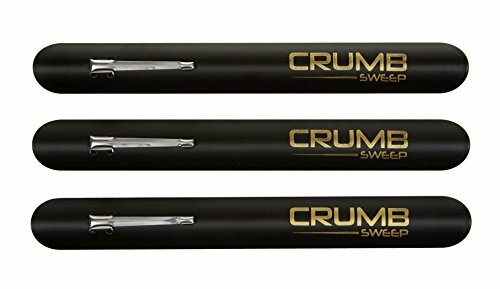 For the waiter, waitress and server that require a quality crumber that performs as good as it looks, the Crumb Sweep is a welcome addition in any apron. Get three black powder coated Crumb Sweeps per order. THREE Crumb Sweeps per Order! 100% MONEY-BACK GUARANTEE - The Crumb Sweep is backed by a, 60-day, 100% guarantee that you are fully satisfied with your product or receive your money back. If you have any questions about this product by Crumb Sweep, contact us by completing and submitting the form below. If you are looking for a specif part number, please include it with your message.